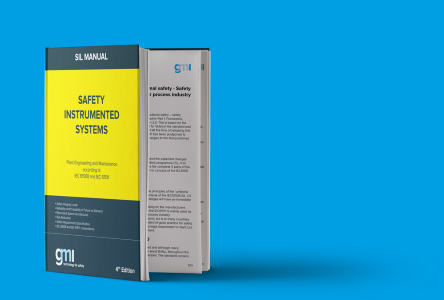 SIL 2 level (according to IEC 61508 ed.2) in safety related systems for high risk industries. For D5072D-096 module: duplicator function provides two independent outputs from one single input. Hazardous Location or in Zone 2 / Class I, Division 2 or Class I, Zone 2. •Input from Zone 0 (Zone 20) / Division 1, installation in Zone 2 / Division 2. •mV or thermocouple Input Signal. •Output duplication possible for D5072D-096. •High Accuracy, μP controlled A/D converter. •EMC Compatibility to EN61000-6-2, EN61000-6-4, EN61326-1, EN61326-3-1 for safety system. •ATEX, IECEx, INMETRO, EAC-EX, UKR TR n. 898, NEPSI Certifications. •High Density, two channels per unit. •Simplified installation using standard DIN-Rail and plug-in terminal blocks, with or without Power Bus. •250 Vrms (Um) max. voltage allowed to the instruments associated with the barrier. •Data logging and monitoring via software.